The Federal Employers Liability Act, or FELA as it is commonly known, is considered by some to be one of the greatest pieces of legislation to be passed in the twentieth century. It was inarguably a huge victory for not only railroad workers, but many hard-working Americans who were subjected to unsafe work environments so their employers could save money on safety features and squeeze out more profit. FELA was originally created in response to public outcry over the gruesome injuries and the number of fatalities railroad workers sustained while working on the railroad. Few people, railroad workers included, truly understand the amount of protection injured railroad workers have under FELA. In fact, railroad employees have more protection than any other working person in the United States under FELA law. SMART Union, a union advocating for workers in a variety of potentially dangerous industries, wants to ensure that when workers they represent are injured, they have proven attorneys with the relevant skills and experience to fight for their interests. If you are an injured railroad or transportation industry worker, you will likely want to seek out representation from a Designated Legal Counsel firm, such as Farris, Riley & Pitt, LLP. Our Birmingham Designated Legal Counsel railroad attorneys represent injured railroad workers involved in FELA accidents from all over the county. We have helped injured railroad workers employed by Norfolk Southern, CSX Transportation, short-line railroads and Burlington Northern Santa Fe (BNSF) Railway Company. Why Do I Need a Railroad Accident Lawyer? Despite the protections that FELA offers railroad workers, benefits are not automatically awarded in these cases. A victim still needs to prove a railroad’s negligence. Farris, Riley & Pitt, LLP understands the challenges that people face when pursuing railroad accident claims. The burden of proof is more forgiving with FELA claims, but victims can still increase the likelihood of success by retaining legal counsel. Kirby Farris, co-founder and managing partner of Farris, Riley & Pitt, LLP, is a former long-term employee of the Norfolk Southern Railway Corporation who has dedicated his practice to representing personal injury victims and FELA claims. Mr. Farris is honored to be recognized as Designated FELA Counsel for the Transportation Communications Union (TCU). It is extremely important for a railroad worker to avoid speaking to a railroad claim agent or attorney until they have legal representation. Claim agents and lawyers are only interested in limiting a railroad’s liability and they will likely attempt to get you to admit some kind of fault for your injuries. Farris, Riley & Pitt, LLP can ensure that your rights are protected. We represent clients on a contingency fee basis, so you do not have to worry about paying us anything unless you receive a monetary award. We fully understand FELA and what is required to successfully prove an injury claim. Furthermore, our firm has experience fighting the railroad companies, and we know that they often spare no expense in order to try and avoid paying injury claims. In addition to our more than 100 years of combined legal experience, Farris, Riley & Pitt, LLP also has a record of several multimillion dollar verdicts and settlements. When you hire our firm, you will have dedicated legal advocates committed to helping you recover as much legal compensation as possible. Farris, Riley & Pitt, LLP will conduct a thorough independent investigation of your accident or illness to obtain the evidence necessary to prove a railroad’s negligence. An injured railroad worker can prove a company’s liability by showing that their injuries are caused by faulty equipment or tools, or the negligence of a co-employee, an agent, contractor, or the company itself. People generally have three years to file FELA claims. The three-year time limit typically begins on the date that a railroad worker is injured. Sometimes the exact date of an injury is not clear. A victim may acquire an occupational disease, for instance. In these cases, the time limit begins running on the date that the worker knew or should have known about the disease. The time limit is important because FELA claims can require lengthy investigations. Witness depositions may be required. For this reason, injured railroad workers should act quickly to retain legal counsel. OSHA states that retaliation is considered to be an adverse action taken against a railroad worker because of an activity protected by FRSA. Examples of retaliation include, but are not limited to, firing, layoffs, discipline, demotion, denial of overtime or promotion, denial of benefits, blacklisting, failure to hire or rehire, reduction of pay or hours, intimidation, threats, reassignment, or denial, delay, or interference with medical treatment for an employee injured on the job. FRSA also assigns regulatory responsibility to the Federal Railroad Administration (FRA), which investigates and prosecutes violations of any rail safety law. What is the difference between FELA and workers’ compensation? FELA claims and state-run workers’ compensation claims both involve compensating individuals for injuries suffered on the job, but they each require different types of proof. With workers’ compensation, a person only needs to show that were injured on the job. In such cases, a victim does not need to prove fault. A FELA claim, however, will require a victim to prove that their employer was somehow negligent and that negligence caused the victim’s injuries. In general, FELA claims also result in larger awards than workers’ compensation. Who can submit a FELA claim? FELA is generally designed to compensate injured railroad employees. Those who serviced railroads on a contract basis may also be eligible to file a FELA claim. If a railroad worker is killed on the job, then their family can file a FELA claim. What kind of damages am I entitled to under FELA? In most cases, victims can be entitled to medical bills, lost earnings, and pain and suffering. When a claim is based on a railroad worker’s death, family members may be able to recover damages for loss of support. Keep in mind that the concept of comparative negligence applies in FELA cases, which means that a victim’s negligence can reduce their award. For example, a person awarded $100,000 in a FELA claim who is found to have been 10 percent at fault would have their award reduced by $10,000 and would ultimately receive $90,000. Which types of injuries does FELA cover? What is a “featherweight” burden of proof? FELA requires an injured railroad worker to prove that the railroad was legally negligent, “at least in part,” in causing the injury. This burden of proof, requiring only proof that a railroad had any kind of causal role in a victim’s injuries, is lighter than what is required in most negligence claims. According to the Federal Railroad Administration (FRA) Office of Safety Analysis, 22 train accidents occurred in Alabama in 2017. There were 10 in 2016 and 26 in 2015. These accidents resulted in 38 nonfatal injuries in 2017, 40 in 2016, and 39 in 2015. The accidents caused eight fatalities in 2017, five in 2016, and eight in 2015. The FRA Office of Safety Analysis also reported that 25 highway-rail crossing incidents occurred at public crossings in Alabama in 2017. There were 26 in 2016 and 23 in 2015. Two highway-rail crossing incidents occurred at private crossings in Alabama in 2017. There were four in 2016, and three in 2015. Highway-rail crossing incidents in Alabama caused nine nonfatal injuries in 2017, 18 in 2016, and 10 in 2015. The incidents caused three fatalities in 2017, four in 2016, and two in 2015. Farris, Riley & Pitt, LLP has been helping railroad accident victims with FELA claims for more than 20 years. We know how to approach these types of cases and collect the evidence necessary in order to achieve the most favorable possible resolution to your case. If you were seriously injured or your loved one was killed in a railroad accident in Alabama, do not delay in contacting Farris, Riley & Pitt, LLP. 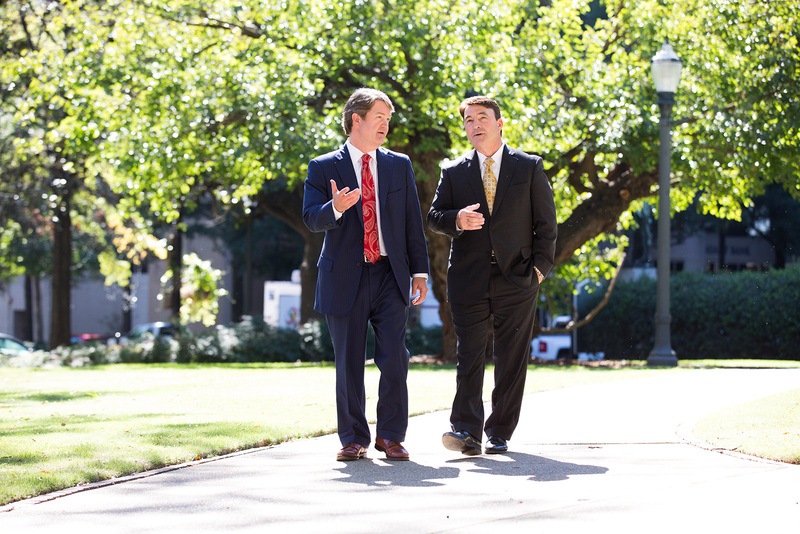 Call (205) 324-1212 or contact us online to receive a free consultation that will allow our lawyers to review your case and help you understand all of your legal options.